For 19 years, NALS has been a place where Native worldviews can be expressed and considered in all their variations. From our beginning as “clan mothers” through today, we have focused on bringing forward as many voices to American Indian literary and creative studies as possible, and fostering this environment in our own indigenous ways. NALS is not just another academic conference, but a true family of scholars and artists and thinkers. So, it does, but does not, come as a surprise that the predominant literary world is reacting to recent events as if we have “only one literary giant,” Sherman Alexie. And while sad, nor are many of us surprised at the accusations against him, nor will we be surprised when others in our field also fall. We are not responsible for the actions of those abusers. We are responsible for listening to all of those who have been hurt. We are responsible for understanding that while we may be shaken to our core, our roots are strong and deep. We are responsible for finding paths forward when those we have admired, whose works we have admired and taught others to admire, fall from grace. On March 21, 2018, I published a letter from the American Indian Library Association (AILA), about its decision to rescind the youth literature award it gave to Alexie in 2007 for The Absolutely True Diary of a Part Time Indian. The School Library Journal (SLJ) published a news item that includes the letter. The comments to the SLJ article and on electronic listservs tell us a lot about the power of a "literary giant." Rather than listening to the women who spoke out about Alexie, commenters are discrediting them in sickening ways. A man said that AILA should revisit its "intellectual honestly" (sic) and said "AILA is demeaning itself by being victim to cultural correctness along with raising that despised ole specter of “Indian giver” in the eyes of the general public." A librarian reports librarian staff saying that "they" [Native people] are criticizing Alexie because he writes about "the darker side of contemporary American Indian life instead of making it all look good." That, in particular, is evident in his remarks about alcoholism in this video from 2012. If a Native story doesn't have an alcoholic in it, some librarians maintain, it isn't an authentic story. One woman thinks the "apology" Alexie issued is so good of him, that she went out to buy another of his books, to thank him for apologizing. Mainstream society's response to this #MeToo about Sherman Alexie points to how much power he has--and still holds--over public sentiment. It does not bode well for any Native writer---other than him or someone who chooses to write like he does, giving readers that narrow slice of Native life. It is a fact that we have alcoholism in Native communities. But it is also a fact that alcoholism is a disease that occurs in White communities at the same rates that it does in Native ones. People don't insist that every book about White families have an alcoholic in it. Calling for that -- as Alexie does in this video -- is destructive. It is a fact that some Native people want to leave our reservation communities, but it is also a fact that many of us do not want to leave. 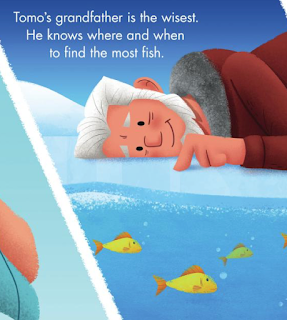 For hundreds of years, White writers have written stereotypical books about Native peoples. Those books have done harm to our youth, and to non-Native youths, too, by misinforming them about who we were, and who we are. Indeed, many of those books end with us vanishing. I know it feels to you that Alexie's The Absolutely True Diary of a Part Time Indian -- set in the present day -- is a significant book, but it is ONE STORY of Native life. With that one story, he--and you--have created a situation in which the Indian life he chooses to tell has become, in your mind, the truth. You've made Alexie, his writing, and what he's given to you into something that you refuse to view, critically. In doing that, you are doing what those White writers did for all these hundreds of years. You're providing stereotypes, and you are doing a disservice to Native and non-Native youth. Most readers of AICL are educators--whether they are teachers or librarians or professors or writers--who have a responsibility to the young people for whom they write for, or for whom they provide a service or instruction. Step away from your adoration of Alexie. It is excruciating to see that the Native women who spoke up about Alexie are being tried in public by people who choose Alexie and his books over their lives. It is a clear example of why women won't speak up. The risks are too great--for all of us. Please rethink what you say, and what you do. And speak up, too. If someone you know is discrediting women who speak up, speak back to them. You might need to rehearse what you'll say. Be ready to do that. The well-being of so many of us depends on everybody speaking up about abuse, harassment, and destructive stereotyping. Yesterday, Naomi Bishop, the President of the American Indian Library Association, wrote to AILA's membership to let us know that the Executive Board and the Youth Literature Committee decided to rescind the Youth Literature Award it gave to Sherman Alexie in 2008 for The Absolutely True Diary of a Part Time Indian. This is a significant decision. AILA is a Native organization that is stepping forward to hold Alexie accountable for his actions. Earlier today, School Library Journal published AILA's letter, and characterized the decision as "shocking." Characterizing it that way shifts the focus from Alexie's actions to the actions of an organization who said, publicly, that his behaviors are not acceptable. It is, of course, his behaviors that are shocking. The Youth Literature Awards Committee and the Executive Board write to express full support for the people harmed by Sherman Alexie. We believe and commend the writers who have spoken up and extend our heartfelt compassion to those who have chosen to remain silent. As librarians we have a significant influence on books that schools and libraries select. The AILA Youth Literature Awards were established in 2006 to honor Native authors and illustrators. The books we select represent the very best for our kids and our communities. We believe that writers are members of our communities who we can look to as role models for our youth. We cannot, therefore, recommend Mr. Alexie’s books, and we have decided to rescind our 2008 Best YA Book Award for The Absolutely True Diary of a Part-Time Indian. In rescinding this award, we hope to send an unequivocal message that Alexie’s actions are unacceptable. Sexual harassment and abuse are not easy to report and discuss. If you or someone you know is experiencing sexual assault or harassment, one resource you can turn to is the Strong HeartsHelpline. Hope and healing can be found in books like #NotYourPrincess: Voices of Native American Women. We selected it as our Best YA Book for 2018. #NotYourPrincess is a powerful anthology by Native American and First Nations women sharing their experiences through poems, essays, interviews, and art. It is one of many that AILA has selected for its awards. See information about the 2018 winners at 2018 AILA Youth Literature Awards Announced. The youth we serve today are here because their ancestors fought for their future and the well-being of their nations. It is in that spirit with which we write to you today. Update: as anticipated, comments at the School Library Journal article (and elsewhere) are about "due process" and that these are "allegations" that are unproven. When NPR did its article on Alexie, it was very careful to substantiate the information provided to them. For further reading on Alexie, you can start with my Open Letter on February 25, 2018. It includes a TIMELINE with links to articles about the #MeToo movement, specific to Alexie and Native people. AILA's letter will be added to the TIMELINE. A few days ago, I learned about Tomo Takes Flight by Trevor Lai. Published in 2017 by Imprint/Macbooks.com (Macmillan), it is part of a series. Based on suggestions that it has Native content, I decided I ought to take a look. The first of Trevor Lai's Tomo books, Tomo Explores the World, was published in 2017. Two others are due out in 2018. According to Animation World Network, Lai was born and raised in the area currently called Vancouver. * His parents are of "Hangzhou, Hong Kong and Taiwanese descent." In 2012, Lai founded UpStudios. 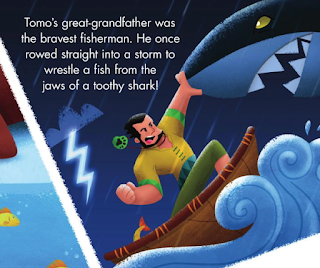 Here's a couple of paragraphs from the article that help me think about his Tomo books. Indeed, some of his main achievements to date are with international publishers. 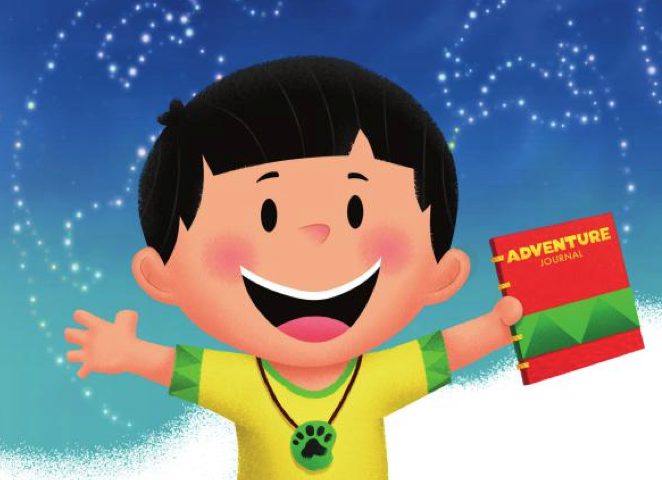 In 2015, Bloomsbury Children’s Books signed another of his characters, Piggy, on a six-figure picture book series contract, the largest ever US debut deal for a children’s author in China. That was followed by a deal with Macmillan Children’s Publishing Group for a book series based on his explorer, Tomo. Given that the author grew up in Vancouver and the Tomo books are about a fishing people, I'd at least expect the illustrations to reflect the art and culture of one of the Indigenous peoples in that area, but here's where that "universal" part gets the author in trouble. Instead of being specific, Lai gives kids stereotypes. In the illustrations I shared above, note the geometric designs on their clothing, the turquoise jewelry, the bear claw necklace, and the pendants they all wear (each with a unique image on them). That sort of imagery is throughout the book. Lai's work is, I gather, doing quite well. That's good for his pocketbook, but not for children whose ideas of Indigenous peoples will be warped by the Tomo books. 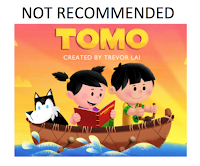 In short, I do not recommend the Tomo series of books by Trevor Lai. *Several weeks ago, I read a series of tweets from Indigenous scholars in Canada who are using "currently called" or similar phrases for places. While some will obviously find that sort of thing threatening, I think it is also accurate and a terrific way for us to remind readers that all these places were, and are, known by different names to the original peoples of the places currently known as the United States and Canada.